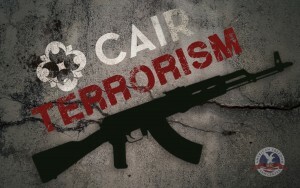 On February 17, 2016, Raja’ee Fatihah, a board member of the Council on American-Islamic Relations (CAIR) of Oklahoma, with the assistance of CAIR legal counsel and the ACLU, sued Chad (a disabled Iraq war veteran) and Nicole Neal, the owner of Save Yourself Survival and Tactical Gear, which also operates a gun range. The survival gear store and gun range are located in Oktaha, Oklahoma. But the facts will prove otherwise. On October 23, 2015, Fatihah entered the Neal’s facility dressed in military-style clothing and carrying a loaded (round in chamber) military-issue handgun strapped to his belt, a military-style rifle slung over his shoulder, fully loaded magazines with over 140 rounds of 9 mm ammunition, and a concealed recording device he kept in his pocket. The firing range is an outdoor range, and it had been raining hard—no one in their right mind (at least no one without an agenda) would even consider shooting on a day like this. Consequently, Fatihah was the only one at the range that day (in fact, there were several indoor ranges available to him along his route from Tulsa to Oktaha if he was truly interested in only shooting). While no one at the range ever asked Fatihah what his religion was, he became confrontational with the Neal’s over his religion and his adherence to sharia, further raising the Neal’s concerns about this man’s motives and intent. In fact, they seriously feared for their personal safety. Consequently, they asked Fatihah to fill out a form and then told him that they would get back with him regarding whether he could fire at the range. The Neal’s then promptly (and rightfully so) did a background check on Fatihah and found out that he was a board member of CAIR—an organization with strong ties to terrorism—confirming their suspicions. CASE UPDATE (April 14, 2016): We filed our Answer to the Complaint. CASE UPDATE (November 21, 2016): We disclosed our expert witness, Stephen C. Coughlin, and provided a copy of his expert report. CASE UPDATE (February 7, 2017): We filed our response to CAIR’s motion to compel our client to “admit” certain facts. CASE UPDATE (April 28, 2017): We filed our motion to dismiss and/or for summary judgment. CASE UPDATE (May 12, 2017): We filed our response to CAIR’s motion for summary judgment. CASE UPDATE (May 22, 2017): The assigned U.S. Magistrate Judge recommended denying CAIR’s request that we “admit” certain facts. CASE UPDATE (May 26, 2017): We filed our reply in support of our motion to dismiss and/or for summary judgment.